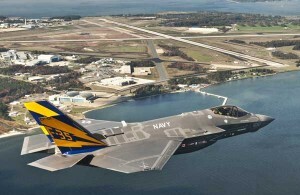 The first F-35C Lightning II carrier variant, the U.S. Navy’s first stealth fighter, arrived at Naval Air Station (NAS) Patuxent River, Md. on Saturday, Nov. 6 at 2:37 p.m. The aircraft, piloted by David “Doc” Nelson, departed NAS Fort Worth Joint Reserve Base at 11:31 a.m. and achieved successful air refuels at a maximum load of 19,800 pounds during the flight. 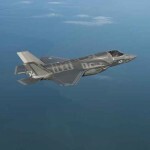 At Patuxent River, the F-35C will conduct air-to-air refueling and performance testing.